本发明涉及通信技术领域，提供了一种语音业务快速建立的方法及装置。 The present invention relates to the field of communications technologies, a method and an apparatus for rapid establishment of a voice service. 所述方法包括步骤：（1）为每一时隙创建一优先级属性，所述优先级属性记录并更新对应时隙的优先级标识；（2）接收语音业务建立请求；（3）选择优先级级别最高的优先级标识所对应的时隙；（4）通过步骤（3）所选择的时隙建立语音业务。 Said method comprising the steps of: (1) each slot to create a priority attribute to the priority attribute record and update the corresponding time slot of priority identification; (2) receiving a request to establish a voice service; (3) Selection Priority identifying the highest priority level corresponding to time slots; (4) step (3) the selected time slot to establish a voice service. 本发明通过设置优先权属性以及选择优先级级别高的时隙建立语音业务，实现了基于PRI链路的语音业务呼叫的快速建立，且具有一定的系统容错性能，提高了软交换信令网关中PRI语音呼叫的可靠性，实现软交换信令网关用于网际互联的PRI语音呼叫运行的稳定性。 The present invention is provided by establishing a voice service and selecting a higher priority attribute priority level slot, to achieve the rapid establishment of a voice service call based on a PRI link, and the system has a certain fault tolerance, improved softswitch signaling gateway reliability PRI voice call, for stability soft PRI signaling gateway for voice switching internetworking call operation. 本发明涉及通信技术领域，尤其涉及一种软交换信令网关中基于PRI信令链路的语音业务快速建立的方法及装置。  The present invention relates to communication technologies, particularly to a method and an apparatus for softswitch signaling gateway PRI signaling links based voice services quickly established. 现代通信网络的发展，不同网络运营商之间的互联越来越频繁，各种网络交换协议的交互也愈加复杂。  The development of modern communication networks, interconnection between different network operators more and more frequently, interact with a variety of network protocols exchange has become even more complicated. 从网络发展的趋势来看，以IP作为骨干网的NGN(Next GenerationNetwork，下一代网络)是当前各个运营商建设的重点。 From the network development trend, as the IP backbone network NGN (Next GenerationNetwork, next generation network) is the focus of the current construction of various operators. 但是传统的基于El线路传输的协议如PRI (Primary Rate Interface,基群速率接口)等依旧扮演着网络通信的重要角色。 However, the traditional line based transmission protocols, such as El PRI (Primary Rate Interface, Primary Rate Interface) and the like still play an important role in network communications. 这些传统网络设备的广泛分布要求现代通信交换机能够支撑传统网络与现代网络的交互与融合。 These conventional devices widely distributed networks capable of supporting the requirements of modern communications switch network to interact with the integration of traditional and modern network. 以El线路承载的传统交换网络中，PRI信令协议在网络交换机与用户之间占据着重要的地位。 Traditional circuit switched networks El bearer, PRI signaling protocol between the user and the network switch occupies an important position. 如图1所述，用户侧11端的用户(如图中所示用户I和用户2)，采用基于Q.921的PRI协议作为通信协议，与网络侧交换网关12建立通信，并通过网络侧交换网关12接入外部网络13。 As shown in Figure 1, the user side the user terminal 11 (user and user I shown in FIG. 2), the PRI based Q.921 protocol as the communication protocol, the gateway 12 establishes communication with the network-side exchange, the exchange and the network side 13 external network access gateway 12. 其中，欧洲的30路脉码调制PCM简称E1，速率是2.048Mbit/s。  wherein the European 30-channel pulse code modulation PCM referred E1, rate 2.048Mbit / s. 我国采用的是欧洲的El标准。 China's use of the El European standards. El的一个时分复用帧(其长度T=125us)共划分为32相等的时隙，时隙的编号为CH(TCH31。其中时隙CHO用作帧同步(即为时钟信号)，时隙CH16用来传送信令，剩下CH1〜CH15和CH17〜CH31共30个时隙用作30个话路。每个时隙传送8bit，因此共用256bit。每秒传送8000个帧，因此PCM —次群El的数据率就是2.048Mbit/s。 El in a time division multiplex frame (T = 125us its length) is divided into 32 equal slots numbered slot is CH (TCH31. Timeslot CHO as a frame synchronization (i.e. clock signals), a slot CH16 for transmitting signaling, and remaining CH1~CH15 CH17~CH31 total of 30 slots as 30 channels in each timeslot 8bit, thus transmitting the common 256bit 8000 frames per second, so PCM -.. times group El data rate is 2.048Mbit / s.
 PRI信令协议作为网络侧与用户侧通信协议，以El为承载媒介，采用共路信令的设计思想。  PRI signaling protocol as the network side and the user side of the communication protocol, as in El bearing medium, using the common channel signaling design. 在具体的实现过程中，时隙的分配在静态数据表中配置，双方通话的时隙必须一致才能成功对接，否则将出现话路不通、串音等异常现象。 In the specific implementation process, the allocation of slots in the static configuration data table, double talk must be the same successful docking slot, otherwise it will appear if the road barrier, crosstalk and other anomalies. 这种情况下，在一次通话释放过程中，如果对端设备由于某种原因，导致话路时隙CIC (Circuit Identification Code,电路识别码)还未及时释放，而本端已经释放。 In this case, a call in the release process, if for some reason the end of the device, resulting in session slot CIC (Circuit Identification Code, the circuit identification code) has not been released in time, and this side has been released. 此时本端再次发起呼叫，就会从静态数据表中再次选中上次申请的CIC，于是本次通话失败，直到对端释放了上次通话的CIC为止。 At this time, the local re-initiate a call from the static data table will be selected in the last CIC application again, then this call fails, until the end of the release of the last call CIC so far. 因此需要一种语音业务快速建立的方法，解决现有的语音业务呼叫建立可能会屡次失败，影响语音通话的质量，进而影响核心网等交换设备的性能的技术问题。  Therefore, a need for a method to quickly establish a voice service, to solve the existing voice call setup may fail repeatedly, affecting the quality of voice calls, thereby affecting the core network switching equipment and other technical issues performance. 本发明所要解决的技术问题是，提供一种语音业务快速建立的方法及装置，解决现有技术中基于PRI的语音业务呼叫建立可能会屡次失败，影响语音通话的质量，进而影响核心网等交换设备的性能的技术问题。  The present invention solves the technical problem is to provide a method and apparatus for rapid establishment of a voice service, the prior art solution-based voice service PRI call setup may be repeated failures, influence the quality of voice calls, thereby affecting the core network performance issues such as switching technology equipment. (2)接收语音业务建立请求；(3)选择优先级级别最高的优先级标识所对应的时隙；(4)通过步骤(3)所选择的时隙建立语音业务。 (2) receiving a voice service establishment request; (3) selecting the highest priority level corresponding priority identification time slots; (4) Step (3) the selected time slot to establish a voice service. 为了解决上述问题，本发明还提供了一种语音业务快速建立装置，所述装置包括:创建单元、接收单元、选择单元以及处理单元；所述创建单元用于为每一时隙创建一优先级属性，所述优先级属性记录并更新对应时隙的优先级标识；所述接收单元与所述创建单元相连，用于接收语音业务建立请求；所述选择单元与所述接收单元相连，用于选择优先级级别最高的优先级标识所对应的时隙；所述处理单元与所述选择单元相连，用于通过所述选择单元所选择的时隙建立语音业务。  In order to solve the above problems, the present invention also provides a means to quickly establish a voice service, said apparatus comprising: a creating unit, a receiving unit, a selection unit and a processing unit; a creating unit for creating a slot for each priority attribute, the priority attribute record and update the corresponding time slot of priority identification; the receiving unit and the creating unit connected for receiving a voice service establishment request; the selection unit is connected to the receiving means, for selecting the priority level of the highest priority identifier corresponding time slots; and a processing unit coupled to said selecting means, for selecting by the selection means establishes a voice traffic slot. 本发明的优点在于，通过设置优先权属性以及选择优先级级别高的时隙建立语音业务，实现了基于PRI链路的语音业务呼叫的快速建立，且具有一定的系统容错性能，提高了软交换信令网关中PRI语音呼叫的可靠性，实现软交换信令网关用于网际互联的PRI语音呼叫运行的稳定性，在具体的基于El线路的语音呼叫中均有广泛的应用前景。  The advantage of the present invention is that establishment of a voice service provided by a high-priority attribute and the priority level selected slot, to achieve the rapid establishment of PRI link based voice service call, and the system has a certain fault tolerance, improved the reliability of the signaling softswitch voice call PRI gateway, softswitch achieve stability for PRI signaling gateway internetworking voice call operation, in particular the broad application prospects have a voice call based on the El line. 图4，基群速率接口呼叫流程的流程图。  4, a flowchart of FIG rate interface call flow. 下面结合附图对本发明提供的语音业务快速建立的方法及装置的具体实施方式做详细说明。  A specific embodiment of the method and apparatus of the present invention provides a reference voice services quickly establish a detailed explanation of the binding. 首先结合附图给出本发明所述语音业务快速建立方法的具体实施方式。  First, in conjunction with the accompanying drawings is given of the embodiments of the present invention, rapid method for establishing a voice service. 附图2所示是本具体实施方式所述语音业务快速建立方法的流程图，接下来对附图2所示的步骤做详细说明。  2 shown in the drawings is a flowchart illustrating the method for establishing a voice service according to fast particular embodiment, the next step shown in Figure 2 be described in detail. S201:为每一时隙创建一优先级属性，所述优先级属性记录并更新对应时隙的优先级标识。  S201: creating a priority attribute for each time slot, the priority attribute record and update the corresponding time slot of priority identification. 考虑到建立语音业务的双方中，一方释放后对端有可能还未及时释放，或者对端故障以致话路时隙CIC根本没有释放，从而导致再次发起的呼叫一直失败，直到对端的话路时隙CIC正常释放为止。  Taking into account the two sides establish a voice service, the after party for the release have yet to be released in time may end, or the failure to end that session slot CIC did not release, resulting in the failure has been initiated call again until the end of the session slots CIC normal release date. 为了解决这一技术问题，本发明提出了一种新的话路时隙CIC动态分配方法:为每一时隙创建一优先级属性。 To solve this problem, the present invention proposes a new session slot CIC dynamic allocation method: Create a priority attribute for each time slot. 其中，可以设置优先级值的范围为1-30(第O时隙一般作为时钟信号、16时隙一般作为信令时隙，因此这两个时隙不设置优先级)，值越小，优先级级别越高。 Wherein the priority value can be set in the range of 1-30 (first clock signal as a general O slot, the slot 16 is generally used as a signaling time slot, these two slots is not set priority), the smaller the value, the priority The higher the grade level. 在其他实施方式中，可以在初始状态时，按照所有时隙的编号顺序排列所述优先级标识。  In other embodiments, may be in the initial state, the priority identification arrangement sequential order of all slots. S202:接收语音业务建立请求。  S202: receiving a request to establish a voice service. S203:选择优先级级别最高的优先级标识所对应的时隙。  S203: Select the highest priority level corresponding priority identification time slot. S204:通过步骤S203所选择的时隙建立语音业务。  S204: establishing a voice service through a selected time slot in step S203. 根据接收到的一端用户发起的呼叫，可以根据优先级级别顺序，选择占用优先级级别高的时隙建立语音业务，从而保证软交换信令网关快速建立PRI语音呼叫，解决了软交换信令网关中PRI语音呼叫一段时间内屡次呼叫不成功的问题，并且具有一定的系统容错性能；而保证呼叫建立快速是信令交换网中数据业务可靠交换的保证，因此本发明提高了软交换信令网关中PRI语音呼叫的可靠性。  The receiving end of the call initiated by the user, according to the order of priority level, the selected high priority level occupied time slots to establish a voice service, thereby ensuring the softswitch signaling gateway PRI rapid establishment of a voice call, the softswitch solution PRI signaling gateway voice call unsuccessful call repeatedly for some time problems, and has certain fault tolerance system; and ensure fast call setup signaling exchange is to ensure the reliable exchange of data traffic in the network, and thus the present invention improves the softswitch reliability PRI signaling gateway voice call. 在其他实施方式中，步骤S204之后进一步执行步骤S205。  In other embodiments, the step S205 after step S204 is further performed. S205:更新所有时隙的优先级标识。  S205: update the identities of all priority slots. 具体可以为:清空步骤S203所选择的时隙的优先级级别；增加其他未被选择的时隙的优先级级别。 It may be: priority level selected in step S203 empty slots; increase the priority level of the other non-selected time slots. 即，根据优先级级别顺序选择占用优先级级别最高的时隙建立语音业务后，该优先级级别最高的时隙对应的优先级级别会被清空(例如优先级值清0)，以标识该时隙处于已被占用状态；同时增加其他未被选择占用的时隙CIC的优先级级别(例如优先级值依次-1)。 That is, after the priority level according to the priority order of selecting the highest level of occupation of time slots to establish a voice service, the highest priority level corresponding to the slot priority level will be cleared (e.g., a priority value to 0), the time to identify the slot is already occupied state; while increasing the time slot occupied by the other non-selected CIC priority level (priority value e.g. sequentially -1). 通过更新所有时隙的优先级标识，使得再次发起呼叫时，会根据更新后的各时隙的优先级级别，再次选择占用优先级级别最高的时隙，从而进一步保证软交换信令网关快速建立PRI语音呼叫，提高了软交换信令网关中PRI语音呼叫的可靠性。 By updating the identities of all priority slots, so that when a call again, based on the priority level of each slot after the update, select again occupy the highest level of priority slots, thus further ensuring Softswitch Signaling Gateway to quickly build PRI voice call, improve the reliability of the signaling softswitch PRI gateway voice call. 在其他实施方式中，步骤S205之后进一步执行步骤S206。  In other embodiments, the step S205 is further performed after step S206. S206:在步骤S203所选择的时隙被释放后，更新所述时隙的优先级级别为最低。  S206: After step S203, the selected time slot is released, updating the priority level of the lowest slot. 使得再次发起呼叫时，如果有其他时隙CIC空闲，会去占用其他优先级级别最高(即优先级值最小)的时隙CIC，而不会占用刚刚释放的这个时隙CIC ;这样，呼叫不会因为对端信令处理缓慢，或刚刚释放的时隙所对应的对端时隙未及时释放而带来的呼叫失败问题；实现动态更新CIC的性能统计等特点，从而保证语音业务的快速建立。 When making a call again, if there are other slots CIC is idle, the other will go to occupy the highest priority level of slots (ie priority value minimum) of CIC, without taking up the time slot just released CIC; so, do not call because of the end of the signaling process is slow, or just release the slot corresponding to the time slot is not released in time for the end brought a call failures; CIC dynamic update performance statistics and so on, so as to ensure the rapid establishment of voice service . 通过设置优先权属性以及选择优先级级别高的时隙建立语音业务，实现了基于PRI链路的语音业务呼叫的快速建立，且具有一定的系统容错性能，提高了软交换信令网关中PRI语音呼叫的可靠性，实现软交换信令网关用于网际互联的PRI语音呼叫运行的稳定性。  establish a voice service provided by a higher priority attribute and selecting the timeslot priority level, to achieve rapid establishment of a voice service call based on a PRI link, and the system has a certain fault tolerance, improved softswitch signaling gateway reliability PRI voice call, to achieve stability for softswitch signaling gateway internetworking PRI voice call operation. 接下来结合附图给出本发明所述语音业务快速建立装置的具体实施方式。  Next, in conjunction with the accompanying drawings is given of embodiments of the present invention to quickly establish a voice service apparatus. 附图3所示是本具体实施方式所述语音业务快速建立装置的架构图，所述装置包括创建单元31、接收单元32、选择单元33以及处理单元34。  FIG. 3 is shown the embodiment according to the present embodiment DETAILED quickly establish a voice service architecture diagram of apparatus, said apparatus comprising a creation unit 31, a receiving unit 32, selecting unit 33 and a processing unit 34. 所述创建单元31用于为每一时隙创建一优先级属性，所述优先级属性记录并更新对应时隙的优先级标识。  The creating unit 31 for creating a slot for each priority attribute, the priority attribute record and update the corresponding time slot of priority identification. 其中，可以设置优先级值的范围为1-30 (第O时隙一般作为时钟信号、16时隙一般作为信令时隙，因此这两个时隙不设置优先级)，值越小，优先级级别越闻。 Wherein the priority value can be set in the range of 1-30 (first clock signal as a general O slot, the slot 16 is generally used as a signaling time slot, these two slots is not set priority), the smaller the value, the priority grade level the smell. 所述装置还可以包括与所述创建单元31相连的初始化单元30,所述初始化单元30用于在初始状态时，按照所有时隙的编号顺序排列所述优先级标识。  The apparatus 30 may further comprise, when used for the initialization unit 30 in the initial state, the priority identification arrangement creation unit 31 and the initialization unit is connected to the numerical order in all time slots. 所述接收单元32与所述创建单元31相连，用于接收语音业务建立请求。  The receiving unit 32 is connected with the creating unit 31, for receiving voice service establishment request. 所述选择单元33与所述接收单元32相连，用于选择优先级级别最高的优先级标识所对应的时隙。  The selection unit 33 is connected to the receiving unit 32, for selecting the priority level of the highest priority identifier corresponding slots. 所述选择单元33根据接收单元32接收到的一端用户发起的呼叫，根据优先级级别顺序，选择优先级级别最高的时隙。 The selection unit 33 in accordance with an end user initiating the receiving unit 32 receives a call, in accordance with the order of priority level, the highest level of priority is selected slot. 所述处理单元34与所述选择单元33相连，用于通过所述选择单元33所选择的时隙建立语音业务。  The processing unit 34 is connected with the selection unit 33, for establishing voice service by the selection unit 33 of the selected time slot. 所述处理单元34占用所述选择单元33所选择的优先级级别高的时隙建立语音业务，从而保证软交换信令网关快速建立PRI语音呼叫，解决了软交换信令网关中PRI语音呼叫一段时间内屡次呼叫不成功的问题，并且具有一定的系统容错性能，提高了软交换信令网关中PRI语音呼叫的可靠性。 The processing unit 34 occupies the selection unit 33 to select the higher priority level of slots to establish a voice service, thereby ensuring the softswitch signaling gateway PRI rapid establishment of a voice call, the signaling softswitch solution PRI gateway voice call period repeated unsuccessful call within a matter of time, and the system has certain fault tolerance, improve the reliability of the signaling softswitch PRI gateway voice call. 在其他实施方式中，所述装置还包括与所述处理单元34相连的第一更新单元35，所述第一更新单元35用于更新所有时隙的优先级标识。  In other embodiments, the apparatus further comprising a processing unit connected to the first updating unit 3435, the first updating unit 35 for updating the identities of all priority slots. 例如:清空所述选择单元所选择的时隙的优先级级别，以及增加其他未被选择的时隙的优先级级别。 For example: Empty slot unit selected by said selection priority level, and to increase the priority level of the other non-selected time slots. 即，所述处理单元34占用所述选择单元33所选择的优先级级别最高的时隙建立语音业务后，该优先级级别最高的时隙对应的优先级级别会被清空(例如优先级值清0)，以标识该时隙处于已被占用状态；同时增加其他未被选择占用的时隙CIC的优先级级别(例如优先级值依次-1)。 That is, after the processing unit 34 occupies the highest priority level selection unit 33 of the selected time slot to establish a voice service, the highest priority level corresponding to the slot priority level will be cleared (clear priority value e.g. 0), to identify the time slot is already occupied state; while increasing the time slot occupied by the other non-selected CIC priority level (priority value e.g. sequentially -1). 通过更新所有时隙的优先级标识，使得再次发起呼叫时，会根据更新后的各时隙的优先级级别，再次选择占用优先级级别最高的时隙，从而进一步保证软交换信令网关快速建立PRI语音呼叫，提高了软交换信令网关中PRI语音呼叫的可靠性。 By updating the identities of all priority slots, so that when a call again, based on the priority level of each slot after the update, select again occupy the highest level of priority slots, thus further ensuring Softswitch Signaling Gateway to quickly build PRI voice call, improve the reliability of the signaling softswitch PRI gateway voice call. 在其他实施方式中，所述装置还包括与所述第一更新单元35相连的第二更新单元36，所述第二更新单元36用于在所述选择单元33所选择的时隙被释放后，更新所述时隙的优先级级别为最低。  In other embodiments, the apparatus further includes a second updating unit updating unit is connected to the first 35 or 36, the second updating unit 36 ​​in the selection unit 33 for the selected time slot after being released, the updated priority level is the lowest slot. 这样，再次接收到发起呼叫时，如果有其他时隙CIC空闲，会去占用其他优先级级别最高(即优先级值最小)的时隙CIC，而不会占用刚刚释放的这个时隙CIC ；这样，呼叫不会因为对端信令处理缓慢，或刚刚释放的时隙所对应的对端时隙未及时释放而带来的呼叫失败问题。 In this way, again receiving a call, if there are other slots CIC is idle, the other will go to occupy the highest priority level of slots (ie priority value minimum) of CIC, without taking up the time slot just released CIC; so the call is not an end call failure signaling processing problems because of slow, or just released time slot corresponding to the end of the slot is brought promptly released. 接下来给出上述技术方案的优选实施例。  Next, the above technical solution gives a preferred embodiment. 首先介绍常见的语音呼叫CIC的分配原则。  first introduced the common voice call distribution principles of the CIC. 正常情况下，时隙话路CIC的分配在数据表中应该是连续存放的，如下表1所示。  Under normal circumstances, the CIC session slot allocation data in the table should be stored in a row, as shown in Table 1. 表1时隙占用表。  Table 1 Table timeslot occupation. 主叫端A在选择出局CIC建立语音业务时，遵循顺序分配的原则，即从小到大顺序查找时隙占用表1，第一个未被占用的CIC 3即为目标CIC;在端局A内部，CIC 3被占用；正常情况下，被叫端B在收到主叫端A的SETUP消息后，根据该消息携带的CIC编号CIC3查找相应目标；在端局B内，CIC 3因此被占用。  In selecting the calling terminal A CIC established outgoing voice service, follow the principle of assigned sequentially, i.e., in ascending order lookup CIC CIC is the target time slot occupancy. 3 in Table 1, the first unoccupied; at the end of a internal Office, CIC occupied. 3; under normal circumstances, the called terminal B after receiving the SETUP message of the calling terminal a, find the corresponding object according to the CIC number CIC3 message carried; in the end office B, so CIC. 3 Occupied. 这样，一次通话建立成功。 In this way, a call is established successfully. 正常通话过程中，端局A和B的时隙占用情况如表2，3所示。 Normal call, the time slot occupancy end office A and B are shown in Tables 2. 表2正常通话中，主叫端A时隙占用表。  TABLE 2 normal conversation, A is occupying the slot table of the calling terminal. 表3正常通话中，被叫端B时隙占用表。  Table 3 in normal conversation, the called terminal B slot occupancy table. 此时，如果占用时隙CIC 2的用户通话正常释放，端局Α，Β的时隙占用情况如表4，5所示。  At this time, if the user calls slot occupied CIC normal release 2, [alpha] end office, as shown Β slot occupancy Tables 4 and 5. 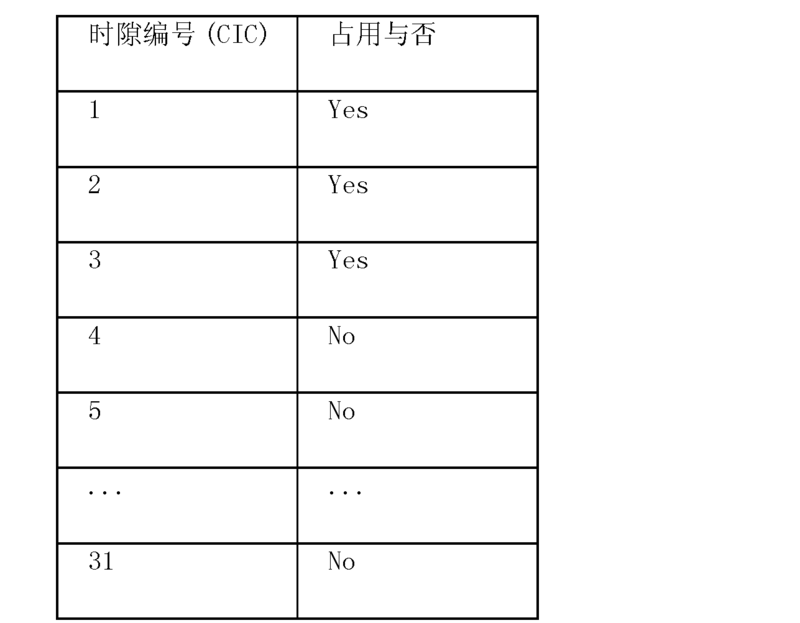 表4CIC 2正常释放，主叫端A时隙占用表。  TABLE normal release 4CIC 2, A slot occupancy table of the calling terminal. 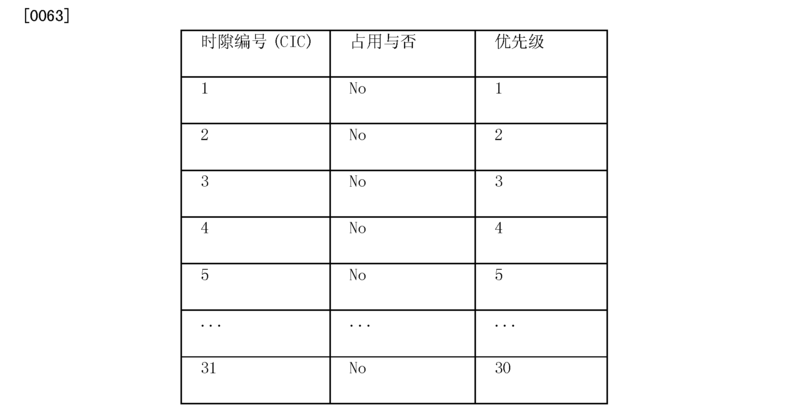 表5CIC 2正常释放，被叫端B时隙占用表。  TABLE normal release 5CIC 2, B timeslot occupation table called terminal. 此时，主叫用户如果再次发起呼叫，根据CIC最小未被占用的分配原则，主叫用户将会再次选择时隙CIC 2作为本次呼叫话路时隙，从而再次发起一次呼叫。  At this time, if the calling user initiates a call again, according to the principle of distribution CIC minimum unoccupied, the calling user will select time slot 2 as CIC timeslots, then this call again to initiate a call again. 参考附图4，基群速率接口呼叫流程的流程图，PRI呼叫流程为:S401:端局A (PRIA)向端局B(PRI B)发起SETUP(建立请求消息);S402:端局B向端局A返回CALLPROCEEDING(呼叫接续消息);S403:端局B向端局A返回ALERTING (呼叫提醒消息)；S404:端局B向端局A发送CONNECT (呼叫建立消息);S405:端局A向端局B返回CONNECT ACK (建立响应消息);S406:端局A与端局B进行通信；S407:通话结束，端局A向端局B发起DISCONNECT(释放请求消息)；S408:端局B向端局A返回RELEASE (呼叫释放消息)；S409:端局A向端局B返回RELEASE COMPLETE (正常释放消息)，通话结束，通话所占用的时隙被正常释放。  Referring to Figure 4, call flow rate interface flowchart, the PRI the call flow is: S401: end office A (PRIA) to initiate the SETUP (setup request message) to the end office B (PRI B); S402: terminal Board B returns to the end office A CALLPROCEEDING (call connection message); S403: terminal station B returns the ALERTING to the end office A (call alert message); S404: end office B sends CONNECT to the end office A (call establishment message); S405: MSC A to return to the end office B CONNECT ACK (Setup response message); S406: MSC A and MSC B in communication; S407: the end of the call, end office A initiates a DISCONNECT to the end station B (release request message); S408: MSC B to the MSC returns the rELEASE a (call release message); S409: a return to the end office MSC B rELEASE COMPLETE (normal release message), the end of the call, the call is normally released time slot occupied. 如表2，3所示，端局A和端局B通信过程中占用了CIC 1，2，3的话路时隙。  As shown in Tables 2 and 3, end office A and the office B side communication process then takes up CIC 1,2,3 timeslots. 占用CIC 2的端局A用户主动发起释放消息DISCONNECT，由于某种原因(如，消息丢失，端局B上层业务异常，DSP未响应等)导致端局B的CIC 2未正常释放，而端局A的CIC 2已释放，这种情况下，端局A和B的时隙占用表如表6，7所示。 A user occupies CIC MSC 2 initiates release of the DISCONNECT message, for some reason (e.g., loss of messages, the upper end office B business exception, the DSP does not respond, etc.) results in the CIC end office B 2 is not normally released, and the end office a CIC 2 has been released, and in this case, end office a and B time slot occupancy shown in tables 6 and 7. table. 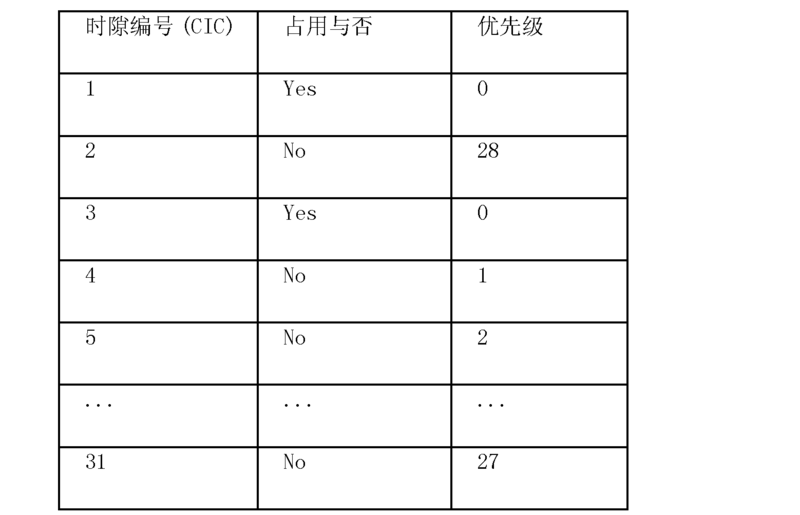 表6CIC 2正常释放，主叫端A时隙占用表。  TABLE normal release 6CIC 2, A slot occupancy table of the calling terminal. 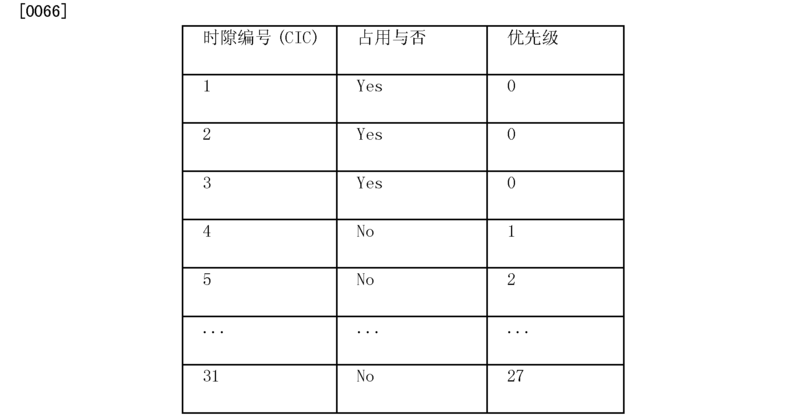 表7CIC 2异常释放，被叫端B时隙占用表。  Table abnormal release 7CIC 2, B timeslot occupation table called terminal. 从端局A来看，呼叫已正常释放，此时端局A再次发起呼叫，根据CIC静态分配原贝U，端局A会再次分配CIC 2;当SETUP消息到达端局B时，由于端局B的CIC 2仍未释放，直接回送失败。  A view from the end office, the call is normally released, end office A initiates a call at this time again, the original static allocation according to the CIC U shell, end office A again assigned CIC 2; When the SETUP message reaches the end office B, Since the CIC 2 has not yet released end office B, a direct echo failure. 从而导致端局A发起的呼叫一直失败，直到端局B的CIC 2正常释放为止。 A leading end office initiated the call has failed, until CIC end office B 2 normal release date. 通过上述分析，PRI语音业务不能快速建立原因在于以静态路由表作为依据分配CIC,没有考虑本次释放后对端可能还未及时释放，或者对端故障以致CIC根本没有释放。  Through the above analysis, PRI voice services can not be quickly established because the static routing table as the basis for allocation of CIC, after not consider this release may not have been released in time for the end, or the end of the fault that CIC did not release. 本发明就是针对该现象，提出一种新的CIC动态分配的方法，保证PRI语音呼叫业务快速建立，并具有一定的系统容错性，从而提升交换网的性能。  The present invention addresses this phenomenon, a new CIC dynamic allocation approach, voice call service PRI ensure fast settling, and the system has certain fault tolerance, so as to enhance the performance of the switching network. 具体为:每个CIC增加一个优先级属性，优先级级别用数值表示，数值范围为1-30，值越小，优先级越高。 Specifically: each CIC increase a priority attribute, the priority level expressed numerically, numerical range from 1 to 30, the smaller the value, the higher the priority. 初始时，优先级按照时隙编号顺序排列。 Initially, the priority ranking order in accordance with the timeslot number. 初始CIC占用表如表8所不(O时隙一般作为时钟信号，16时隙一般作为信令时隙)。 CIC initial occupancy table as shown in Table 8 not (O slot generally used as a clock signal, generally the time slot as a signaling time slot 16). 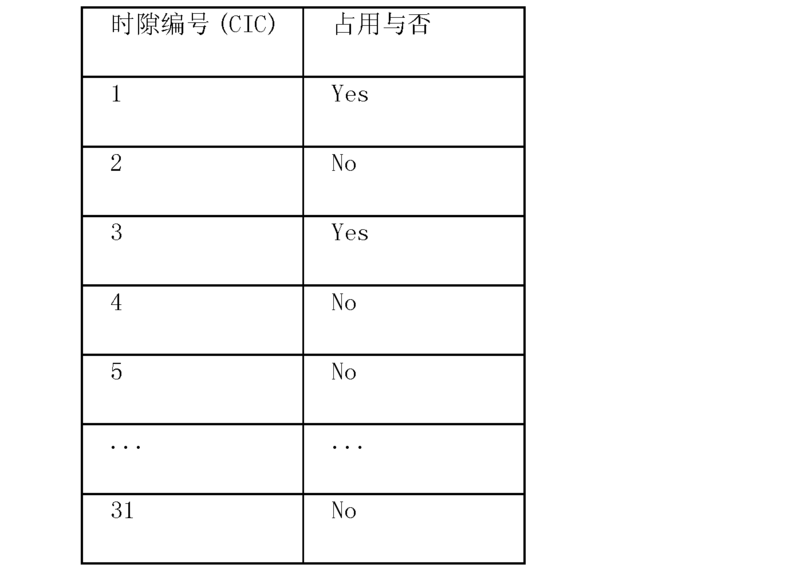 表8本发明所述带优先级的CIC占用表。  Table 8 of the present invention the prioritized CIC occupancy table. 占用时隙会根据优先级的级别大小顺序占用，且一旦被占用，该时隙的优先级值会被清0，其他未被占用的CIC的优先级值依次-1。  occupied slots based on the order of the priority level of occupancy, and once occupied, the time slot priority values ​​are cleared, the other unoccupied CIC sequentially priority value -1. 如3个连续的呼叫均处于通话中，此时，根据优先级级别，时隙CIC 1，2，3会被顺序占用，同时，它们的优先级值均变成O。 The three consecutive calls are in a call, this time, on the priority level, are sequentially CIC 1,2,3 slot occupied, while their average priority values ​​becomes O. 而其他未被占用的时隙优先级值均-3。 The other unoccupied slot priority values ​​are -3. 如表9所示。 As shown in Table 9. 表 9CIC 1,2，3 被占用。  Table 9CIC 1,2,3 occupied. 释放某一CIC，则该CIC的优先级级别会被降为最低。  release a CIC, the CIC's priority level will be reduced to a minimum. 这保证了再次发起呼叫时，如果有其他CIC空闲，会去占用其他优先级值最小(O除外)的CIC，而不会占用刚刚释放的这一CIC。 This ensures that when a call again, if there are other CIC is idle, the other will go to occupy the minimum priority value (excluding O) of the CIC, and CIC will not take up the just released. 这样，呼叫不会因为对端信令处理缓慢或该时隙未及时释放而带来的呼叫失败问题。 Thus, the call is not a call failures because of the slow end of the time slot signaling processing or not timely brought release. 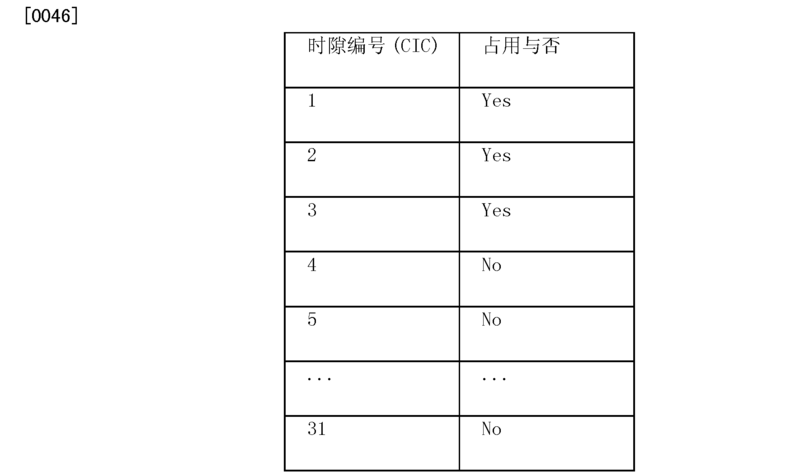 CIC 2被释放后的时隙占用表如表10所示。 CIC 2 is released after the time slot occupancy shown in Table 10. Table. 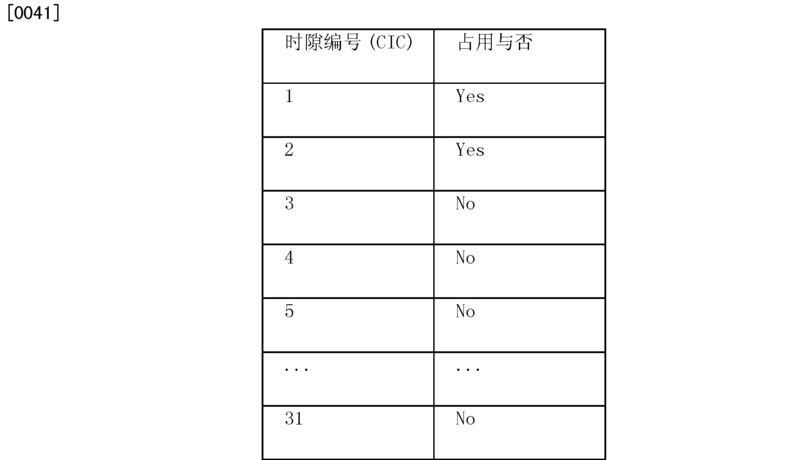 表 10CIC 2 释放。  Table 10CIC 2 release. 本端再次发起呼叫时，此时CIC编号的选择会是CIC 4而非CIC 2，从而最大限度的避免了呼叫因对端CIC释放异常弓丨起的呼叫失败问题，提高了语音业务呼叫的快速建立，同时也提升了系统的性能，使系统具有一定的容错能力。 When the  This initiates a call again, this time numbered CIC CIC 4 would be selected rather than the CIC 2, in order to avoid possible failures of the call to end the call due to abnormal release of CIC bow Shu played, improved voice services rapid establishment of the call, but also enhance the performance of the system, the system has a certain degree of fault tolerance. 以上所述仅是本发明的优选实施方式，应当指出，对于本技术领域的普通技术人员，在不脱离本发明原理的前提下，还可以做出若干改进和润饰，这些改进和润饰也应视为本发明的保护范围。  The above are only preferred embodiments of the present invention, it should be noted that for those of ordinary skill in the art, without departing from the principles of the present invention is provided, can make various improvements and modifications, improvements and modifications of these also it is considered the scope of the present invention. 1.一种语音业务快速建立的方法，其特征在于，包括如下步骤: (1)为每一时隙创建一优先级属性，所述优先级属性记录并更新对应时隙的优先级标识； (2)接收语音业务建立请求； (3)选择优先级级别最高的优先级标识所对应的时隙； (4)通过步骤(3)所选择的时隙建立语音业务； (5)更新所有时隙的优先级标识，其中步骤(5)进一步包括:(51)清空步骤(3)所选择的时隙的优先级级别；(52)增加其他未被选择的时隙的优先级级别； (6)在步骤(3)所选择的时隙被释放后，更新被释放的时隙的优先级级别为最低。 A method for the rapid establishment of a voice service, characterized by comprising the steps of: (1) each slot to create a priority attribute to the priority attribute record and update the corresponding time slot of priority identification; (2 ) receiving a voice service establishment request; (3) selecting the highest priority level corresponding priority identification time slots; (4) step (3) the selected time slot to establish a voice service; (5) update all slots priority identification, wherein the step (5) further comprises: (51) emptied in step (3) of the selected time slot priority level; (52) increase the priority level of the other non-selected time slots; (6) step (3) after the selected time slot is released, the released updated slot for the lowest priority level. 2.根据权利要求1所述的语音业务快速建立的方法，其特征在于，在步骤(I)之前进一步包括:(10)初始状态时，按照所有时隙的编号顺序排列所述优先级标识。 2. The method of claim 1 quickly establish voice service claim, characterized in that, further comprising prior to step (I): (10) an initial state, the sequential order of all slots are arranged on the priority identifier. 3.一种语音业务快速建立的装置，其特征在于，所述装置包括:创建单元、接收单元、选择单元以及处理单元； 所述创建单元用于为每一时隙创建一优先级属性，所述优先级属性记录并更新对应时隙的优先级标识； 所述接收单元与所述创建单元相连，用于接收语音业务建立请求； 所述选择单元与所述接收单元相连，用于选择优先级级别最高的优先级标识所对应的时隙； 所述处理单元与所述选择单元相连，用于通过所述选择单元所选择的时隙建立语音业务; 所述装置还包括与所述处理单元相连的第一更新单元，所述第一更新单元用于更新所有时隙的优先级标识、清空所述选择单元所选择的时隙的优先级级别，以及增加其他未被选择的时隙的优先级级别； 所述装置还包括与所述第一更新单元相连的第二更新单元，所述第二更新单元用于在所述选择单元 3. An apparatus quickly established voice service, characterized in that said apparatus comprising: a creating unit, a receiving unit, a selection unit and a processing unit; a creating unit for creating a priority attribute for each time slot, said priority attribute to record and update the corresponding time slot of priority identification; the receiving unit and the creating unit connected for receiving a voice service establishment request; the selection means coupled to said receiving means, for selecting the priority level identifying the highest priority corresponding to time slots; wherein the processing unit is connected to the selecting means, for selecting by the selection means to establish a voice service slots; said apparatus further comprises a processing unit connected to the a first updating unit, the first updating unit for updating the identities of all priority slots, time slot selection means emptying the selected priority level, and to increase the priority level of the other non-selected time slots ; said second means further comprises a first updating unit and the update unit coupled to said second means for updating the selection unit 所选择的时隙被释放后，更新被释放的时隙的优先级级别为最低。 After the selected time slot is released, the update was released slot priority level is the lowest. 4.根据权利要求3所述的语音业务快速建立的装置，其特征在于，所述装置还包括与所述创建单元相连的初始化单元，所述初始化单元用于在初始状态时，按照所有时隙的编号顺序排列所述优先级标识。 4. The apparatus of claim 3 quickly establish voice service claim, wherein said apparatus further comprises initializing means connected to said creation unit, said means for initializing the initial state, in accordance with all slots the numbered sequence identification of the priority.